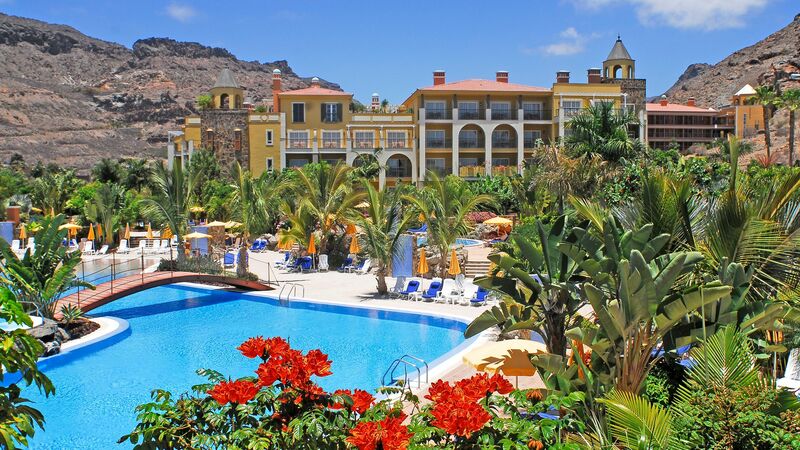 Found on Gran Canaria’s southern coast, Puerto Mogan holidays are known for their idyllic, luxury feel. The town is nestled between two emerald green mountains, and is home to pretty streets lined with trees leading down to the harbour and the golden sands of the beach. This pretty former fishing village is still home to narrow streets and whitewashed houses, as well as little cafés and family run restaurants. Puerto Mogan’s harbour is the perfect place to people watch as you sip cocktails and fine wines, or enjoy the fresh catch of the day from the sea. Watch the yachts as they dock for the evening and the fishermen as they bring in their catches. Alternatively, head into the centre of town where you’ll find pedestrianised streets, canals, and footbridges, as well as boutiques, little shops, and a further selection of restaurants and bars. Enjoy a fantastic selection of amenities on your luxury holidays in Puerto Mogan. Spend your days on the warm golden sands of the beach, which is sheltered from the winds by the surrounding mountains and offers almost year round sunshine. Head to the harbour for delicious drinks, or spend the evening admiring the bougainvillea and whitewashed buildings surrounding the narrow streets, which lead to the canals and pretty footbridges. Book your luxury holiday in Puerto Mogan and relax, knowing you’re taken care of from the moment you book to the moment you return home. 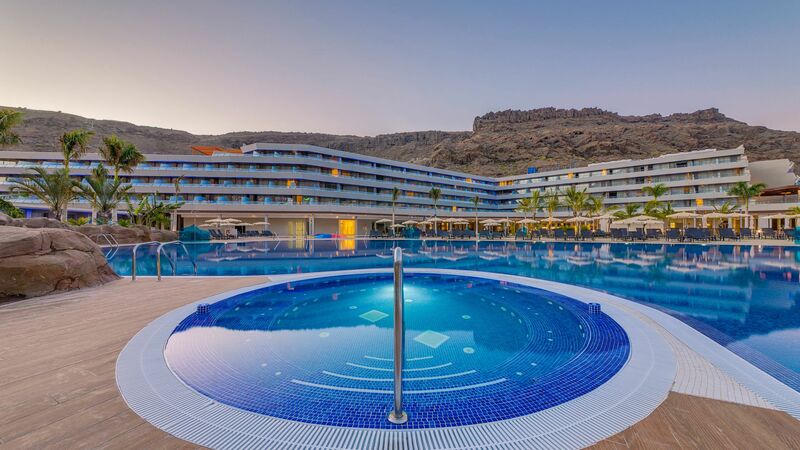 Stay at the Radisson Blu Resort & Spa Gran Canaria Mogan and enjoy chic and elegant interiors, spacious gardens filled with palm trees, and three outstanding restaurants. There is also a Kids’ Club and a range of activities available. Alternatively, Cordial Mogán Playa has two swimming pools, a large spa, Kids’ Clubs, and a bright complex with beautiful architecture and surroundings. There are six restaurants to choose from, including Canarian and international cuisine. Transfer time from Las Palmas airport to Puerto Mogan is approximately 50 minutes.